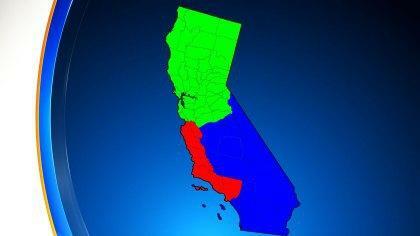 SACRAMENTO -- A proposal to split California has qualified for the ballot in November. CBS Los Angeles reports the California Secretary of State's office says the straightforwardly named measure "Division Of California Into Three States" has reached enough signatures. The fate of Tulare County was up in the air when Draper's original proposal left the county out, presumably to be annexed to Nevada, and instead opted to pick Imperial County twice. He's since updated it to include Tulare County as part of Southern California.